It was a situation I wouldn’t wish on my worst enemy. A couple of week’s after starting a new food blog, most of which I intended to be baking recipes, my trusty mixer died. Horrifying, I know. That wasn’t the worst part though. The truly devastating aspect of this tragedy was that due to circumstances beyond my control, I was unable to get a new mixer for a week. Yep, an entire week without baking…for a gal who absolutely loves to bake. Needless to say, it was a tough week. All week I was dying to pull out some sugar and flour and get baking, but instead I was stuck thinking about the lovely things I would bake when I finally got my hands on a mixer. One idea really stood out. I couldn’t get it out of my head, no matter how hard I tried. 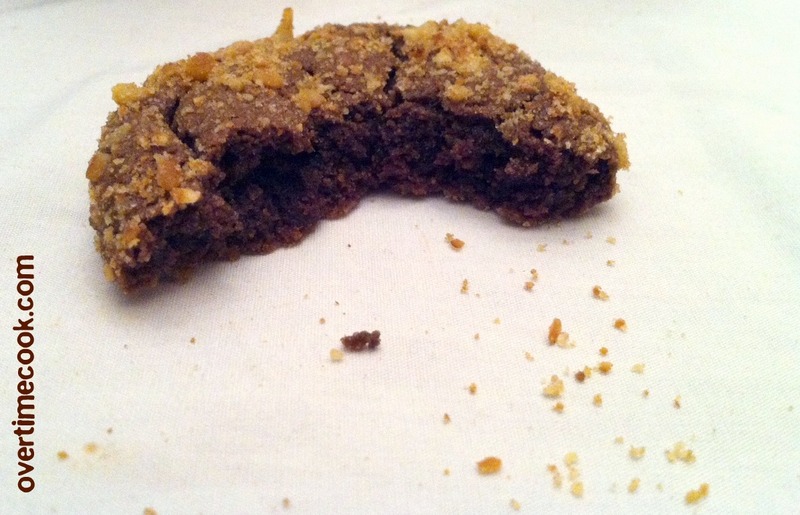 Imagine how awesome it would be if you’d make chocolate cookie dough and roll the unbaked cookies in crushed pretzels? I know, brilliant, right? Needless to say, the first thing I did when I bought my amazing new Kitchen-Aid Pro 600 series is find out just how awesome these cookies would be. As it turns out…they were pretty awesome. If you are a fan of salty and sweet mixed together in the same delicious bite, do yourself a favor and try some of these. Today. If you are lucky enough to have a working mixer, that is. 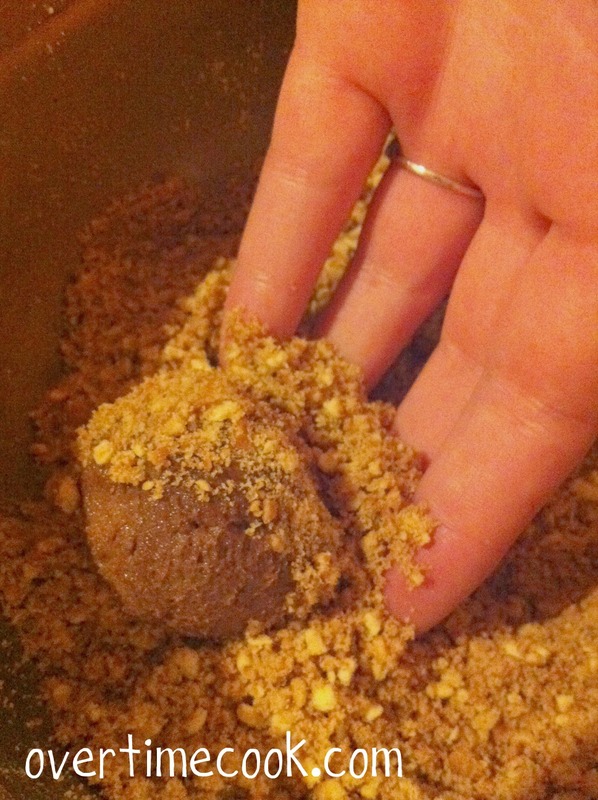 In a small bowl, combine all coating ingredients and stir to form a coarse, crumbly mixture. Set aside. In the bowl of an electric mixer, combine the butter and sugar and beat until light and fluffy. Add vanilla and eggs, one at a time. Beat well to combine, scraping down the sides as needed to incorporate all ingredients. In a small bowl, combine flour and cocoa powder. In a teaspoon measuring spoon, add the pinch of salt, then fill to the top with baking soda. Add to flour/cocoa mixture and stir to combine. Slowly add dry ingredients to the mixing bowl, stirring gently until all ingredients are incorporated. Stir in chocolate chips. Using a small cookies scoop, scoop about 1 and 1/4 Tbsp of dough into your hand. Roll into ball, then drop into pretzel coating mixture and turn on all sides to coat evenly. Repeat with all remaining dough. Bake at 350 for 13-14 minutes (for this size cookie, for a smaller cookie bake 10-11 minutes.) Allow to cool on tray for a couple of minutes before removing to wire rack to cool completely. I am very impressed with this blog. Keep up the good work! Looks tasty! I love these salty/sweet combinations! 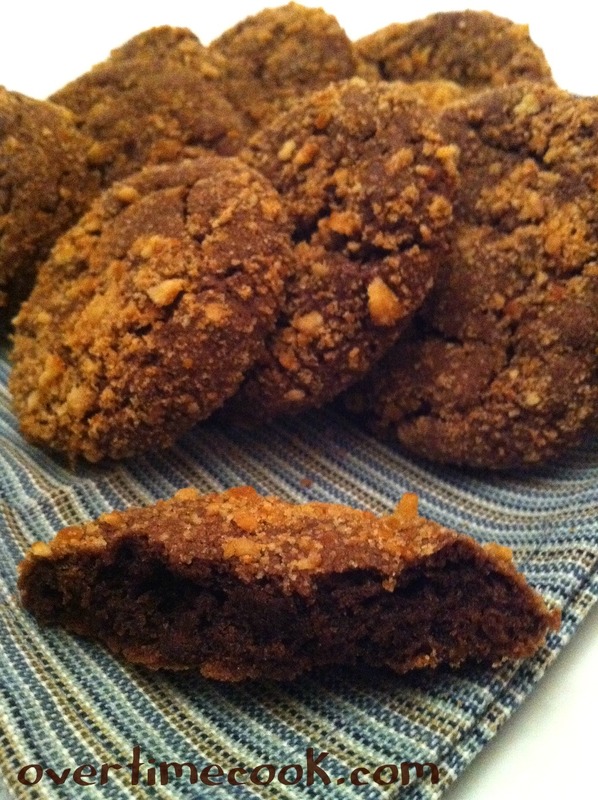 If you love that combination- you’ll love these cookies! You might just be my hero for this one. Will be trying soon. Aw thanks, I love being a hero! Please let me know how this comes out! Brilliant! Glad that you were able to get yourself a new mixer. Your blog is wonderful. OK. This one tempts me. I just wish I didn’t have my Rosh Hashana prep taking priority…. Keeping it as “unread” in Google Reader though, until I have some free time. So glad you like this recipe! Thanks for the compliment on my pictures- I’m trying to learn about food photography- it’s not so easy on my iPhone! Thanks Kristy! I’m absolutely loving the new mixer! Glad you like this recipe- it’s amazing! These look so good! Love the combo of sweet + salty! Thanks for stopping by! This is seriously the beat of both worlds- enjoy! I tasted these from the source and they were awesome! I love the sweet and salty mix! Keep it up! These cookies are heaven!! They taste even better than they look! Thanks Miriam. Wow, these sound amazing. I am a huge fan of salty/sweet and I love pretzels and chocolate.Love this recipe – thanks for sharing it!! these are so delicious and so easy to make! thank you for making my sukkot dessert more exciting! What’s the quantity of pretzels in this recipe please? Have u ever tried making this recipe with oil instead of margerine in the dough? I haven’t, but it should work.